Hey everyone............ I have been on a blanket making frenzy lately. I just love making baby blankets. But, I have always hated weaving in the ends when I finished the project. So, several months ago, I made it my mission to start weaving in all the ends as I am working on the blanket. That way, when I am finished, it's completely done. I still have to use a tapestry needle but once I got used to working this way, I will never switch back to my old habits! I put together a short YouTube video to show you how I switch out colors while working on a project. Check it out! Don't miss future videos! 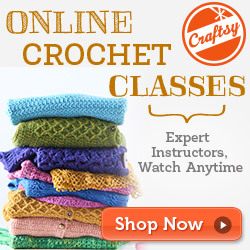 Make sure to subscribe so you get notified when new tips and patterns are posted. 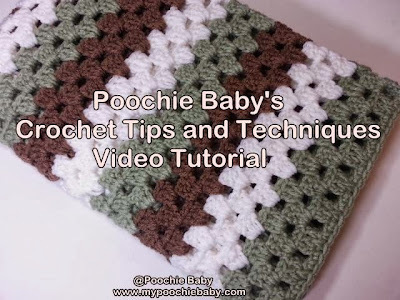 Poochie Baby has many other patterns available for free and for sale at Ravelry, Craftsy and in the Etsy Shop. There are also versions available in the Kindle store if you prefer to use your ebook reader. 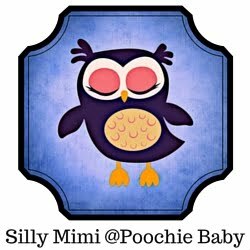 If you would like to see some of the items I make and sell, visit the Poochie Baby Etsy shop. Don't forget to follow Poochie Baby on Google+, YouTube, Facebook, Twitter and Pinterest. Share this post with all of your friends... the share buttons are below.